If track and field is a religion, this is your cathedral. 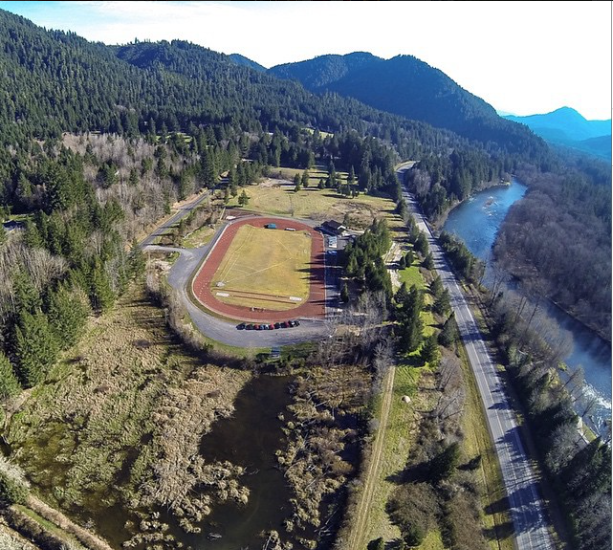 We go up the coast to Oregon to continue our 50-part series on America’s track and field stadiums and facilities. 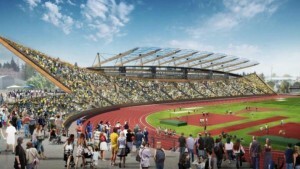 Hayward Field’s current seating capacity is listed at 10,500, but additional seating is often brought in for major events such as the Olympic Trials. Yours truly was one of those in the seats for its record attendance of 22,602 on June 28, 2012. 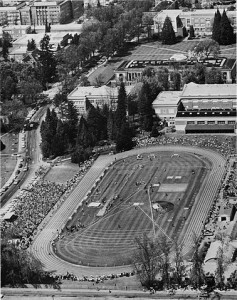 So far as I know, Hayward Field did not see a track crowd in excess of 5,000 fans until the 1960 Oregon-Stanford dual meet, and did not see a crowd of over 10,000 until the 1962 NCAA Championships. Bill Bowerman had many accomplishments, but his greatest may have been turning Eugene, a college town with no particular affinity for running, into Track Town. While Hayward opened for football in 1919, it did not have a track until 1921. The track team inherited it when the football team left for Autzen Stadium in 1966, and it was in some considerable disrepair until the early 1970s when the Hayward Field Restoration meet raised funds for a new grandstand. 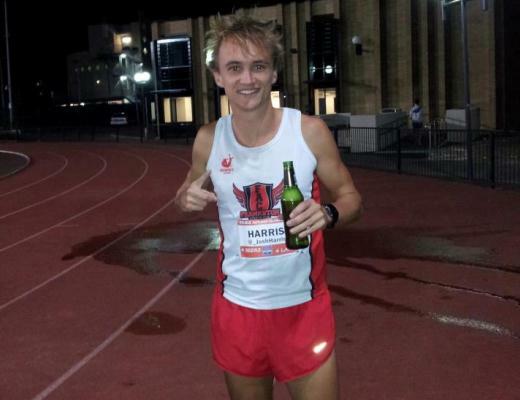 We now call that meet the Prefontaine Classic. 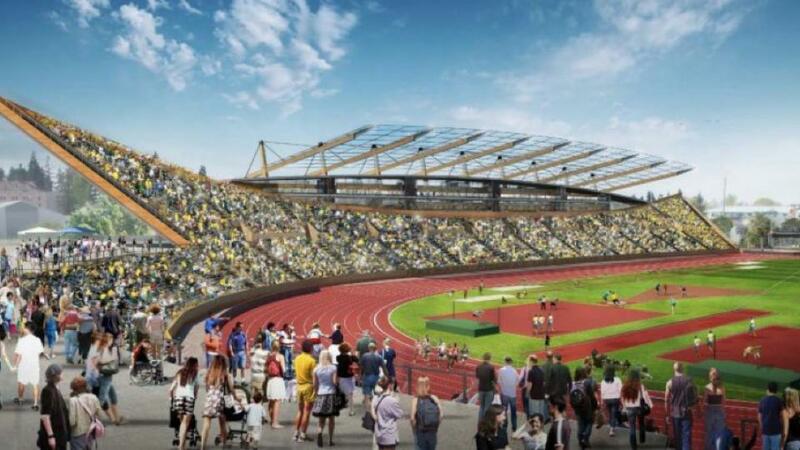 There are plans for a stadium rebuild which is supposed to begin immediately after this summer’s Olympic Trials. The permanent seating is still only expected to expand to 12,500, with the major changes being demolition of the homestretch grandstand and Bowerman Building and replacement with updated modern facilities. 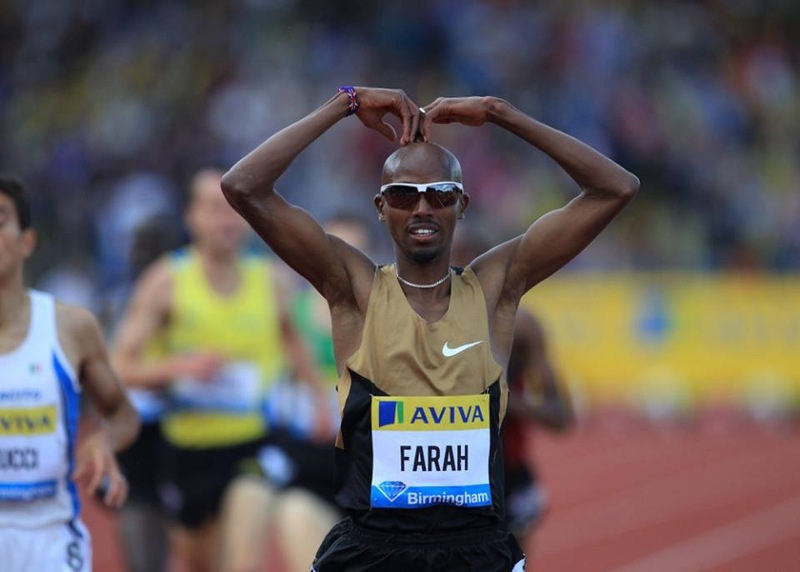 Expanded seating will have to be 30,000 for the 2021 World Championships. Hayward is pretty, but it’s nothing compared to this community project out near the town of Blue River. Honorable mention goes to Linfield College’s Maxwell Field. First used by the football team in 1893, Bell Field was Oregon State’s track facility from 1911 to 1974, and was a track-only facility for the last 20 years. While Oregon State killed off its track programs in 1988 and only recently brought back a women’s team, back in the 1960s the Beavers were often a better team than even Bill Bowerman’s Oregon Ducks. Crowds of 5,000 or more came to see the Oregon-Oregon State duals (a twice-a-year affair through most of the 60s) and it was the site of track and field’s most stunning innovation, the Fosbury Flop.